Today was SeaWorld Parks & Entertainment's first quarter 2017 earning release, which like the other theme park operators looked rough from afar, mostly because of the switch of Easter to the 2nd quarter this year. However, the operating results through the end of April show steady results with last year. The call to discuss the earnings had some interesting points, detailed below. • The transaction with the Zhonghong Zhuoye Group has closed, and two of their members will join SeaWorld's board. The development will see the creations of concept designs for theme and water parks, along with possibly family entertainment centers. The development will bring $14 million in revenue to the company over the next 3 years. However, the opening of any actual theme or water park in China is at least 5 to 7 years out. • Attendance through the end of April is essentially flat with 2016. The first quarter did see some declines even without the Easter switch, but April has made up for them. There has been softness in visitors from the U.K. so far this year, which the company is working to fix. • In just the past few weeks SeaWorld has seen some improvement in attendance from Latin America, which fell off a cliff last year. They still do not expect levels from this area to return to normal for at least two more years. • Cost savings are a big push for the company, and they're making progress on that front. They are on track to book around $20 million in expense savings by the end of 2017, pushing the total to $40 million by the end of 2018. • There is much excitement for the 2017 additions. 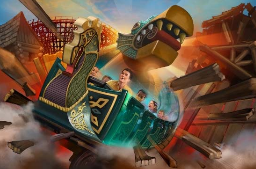 So far only InvadR at Busch Gardens Williamsburg is open, but it led to the theme park having an all time attendance record for the month of April. 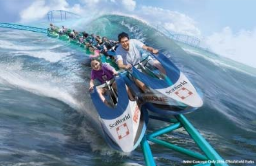 The ride is also a perfect example of how they can bring and "exciting new ride" in a cost efficient manner. 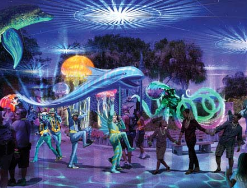 • New rides and attractions in the future will be set on an 18 month time table, which SeaWorld says is half the time of their competition. In the future all rides will open earlier in the year, and the only reason the 2017 rides aren't already open is because they pushed some projects forward to help the turnaround. 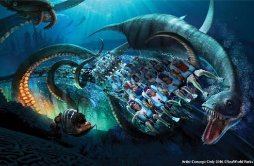 • Virtual Reality is a way they see to gain new marketable attractions with lower costs; Kraken Unleashed is the first, an additional-charge attraction called Orca 360 will open soon at Sea World San Diego, and in 2018 Busch Gardens Williamsburg will open the first VR motion simulation ride (already announced). • SeaWorld still is interested in adding hotels to their parks, but is waiting for more park turnaround to occur. They have two staff members working on the hotels and enough property to build five hotels among the parks, and already announced a development with a partner for SeaWorld San Diego. • Another big push for this year is the use of dynamic pricing for not only admission but also in park services across the board. As talked about in previous calls, they also still see a big benefit to special event and festivals sine they are going after guests within a 300 mile area of the parks. So I'd expect to see continued growth and focus on those activities.